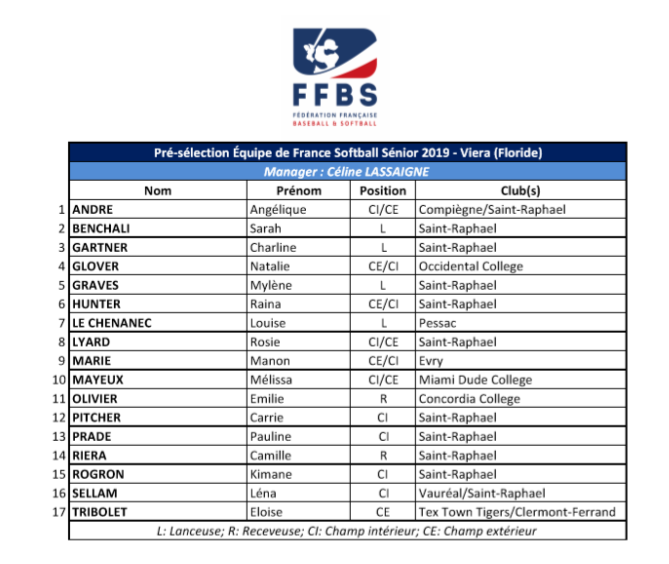 The Women’s Softball National Team of the French Baseball and Softball Federation (FFBS) is going to hold a training camp at the USSSA Space Coast Complex in Viera, Florida from March 16 to 23. It will serve as their main preparation ahead of the Women’s Softball European Championship from June 30 to July 6 in Ostrava, Czech Republic. 17 players were selected for the training camp including Melissa Mayeux and Emilie Olivier, who attend University in the United States.